Universal hopes Second Screen experience will boost Blu-ray sales | What Hi-Fi? Universal is hoping that extra content, accessible via a laptop or tablet while the user watches a film, will convince people to buy rather than rent the latest releases. Second Screen, as the feature is known, brings added content that won't be available on the discs given to rental sites. Extra features and content may not be anything new but the ability to watch said content on a smartphone or tablet, and prompted at the relevant moment as you watch the Blu-ray disc, is a subtle twist. The latest Blu-ray release of Fast Five is one of the first to offer such features – four Disney titles have had similar functionality. 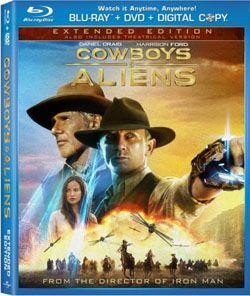 Cowboys & Aliens, out in time for Christmas, will also sport Universal's Second Screen, promising Scene Explorer, Behind the Scenes and other options, allowing users to see extra angles, deleted content and more. The release will also see the debut of Flick View, which will allow users to 'flick' content from a tablet or smartphone to their TV. The technology is powered by the pocket BLU app, which you'll need on your tablet or laptop. This then talks to your internet-connected Blu-ray player. The pocket BLU app also allows you to use your smartphone to control your Blu-ray player, though there's no word on whether Second Screen will work on mobiles. Would Second Screen content enhance your enjoyment of a Blu-ray? Or does it sound like an unwanted distraction? Let us know what you think in the comments below.